P.S. 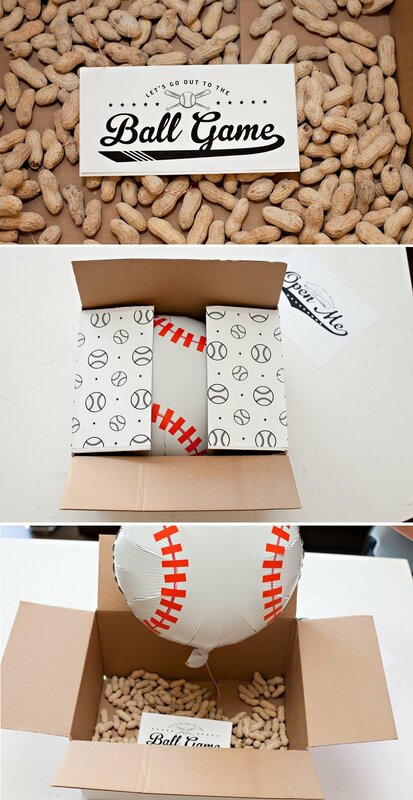 Click here to download the baseball printables featured in this video. 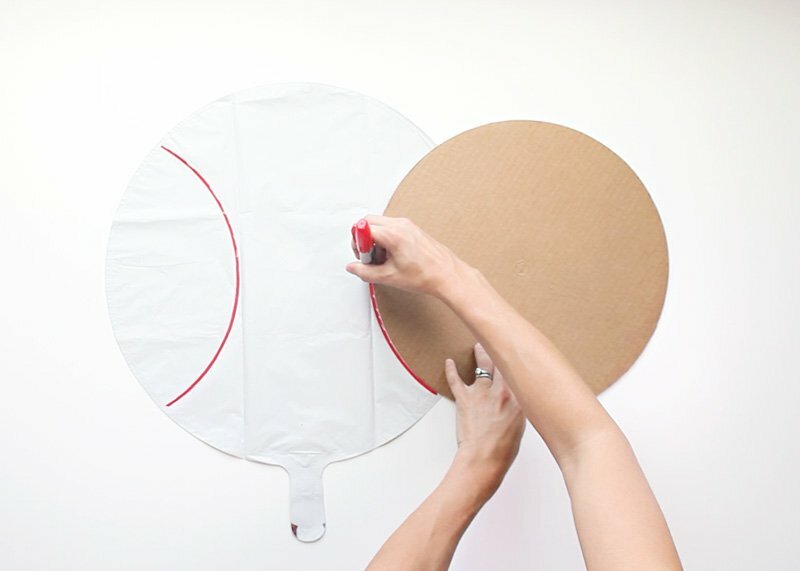 *You can also use a large round platter or other object of similar size as your tracing guide. 2. Fill the balloon with helium. Note: most mylar balloons are self-sealing. 3. Time to add the baseball stitches! 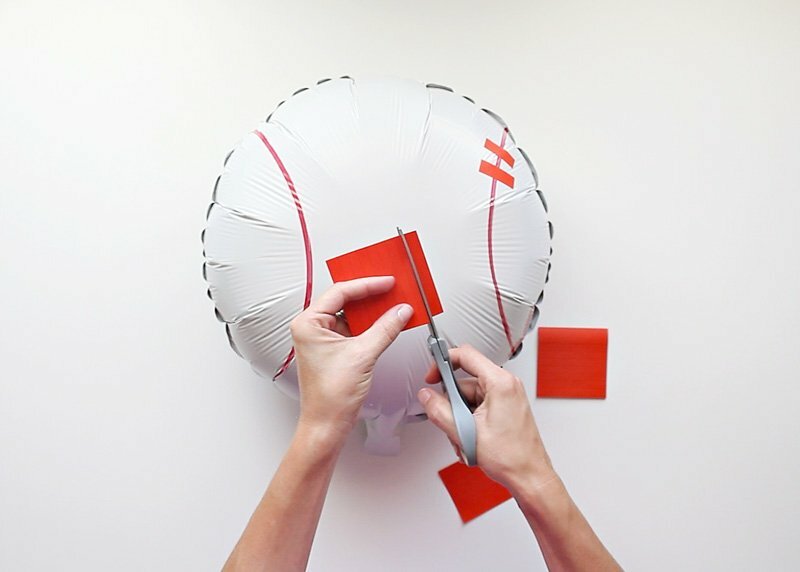 First, stick a couple pieces of rolled tape to the back of the helium-filled balloon, and use them to stick the balloon to your work surface. 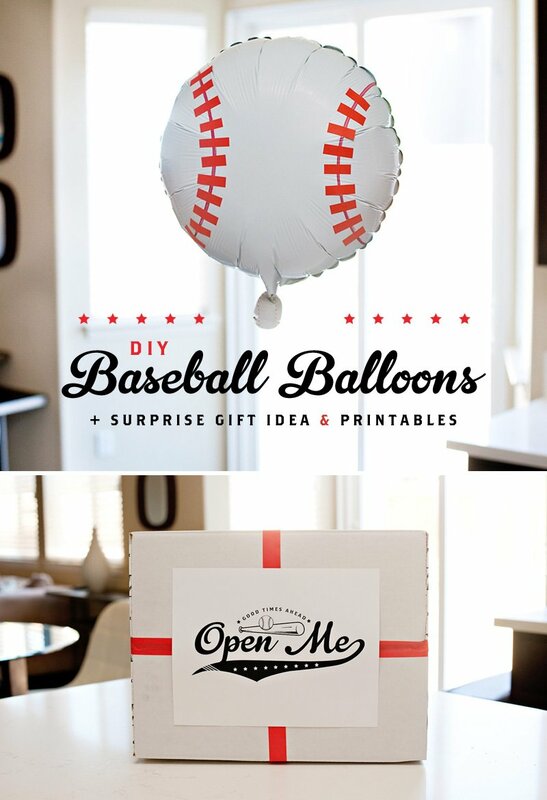 This is great – what an excellent idea as a gift or for a party decoration. I could definitely imagine the baseball theme as an effective party style for a kid’s party. You could even carry this theme through with the cake, and a photo booth.